*Corresponding Author: Muzeyyen İzmirli, Department of Medical Biology, Faculty of Medicine, Bezmialem Vakif University, 34093, Istanbul, Turkey; Tel. : +90-212-523-37-19, Fax: +90-212-523-23-26; E-mail: muzeyyenizmirli@gmail.com. Prostate cancer is the proliferation of malignant cells in the prostate gland. 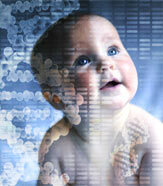 The HPC2/ELAC2 gene on chromosome 17p11.2 and SRD5A2 gene on chromosome 2p22-23 are predisposing genetic factors. We examined the relationship between Ser217Leu and Ala541Thr polymorphisms of the former gene, and Ala49Thr and Val89Leu polymorphisms of the latter gene to prostate cancer in Turkish men, using the polymerase chain reaction (PCR) method and appropriate restriction enzymes. The HPC2/ ELAC2 gene Ser217- Leu and SRD5A2 gene Ala49Thr polymorphisms were associated with an increased risk of prostate cancer in Turkish men [for the HPC2/ELAC2 gene Ser217Leu polymorphism: odds ratio (OR) 2.7; confidence interval 95% (CI 95%) 1.6-4.8; p 0.000<0.05, and for the SRD5A2 gene Ala49Thr polymorphism: OR 2.4; CI 95% 1.2-4.9; p 0.004<0.05].